Profile Response: Vanessa Everhart, Bennington KS | How Will We Live Tomorrow? Vanessa Everhart owns a library. Not just a collection of books that lines a wall in her living room, though her house is ripe with books. 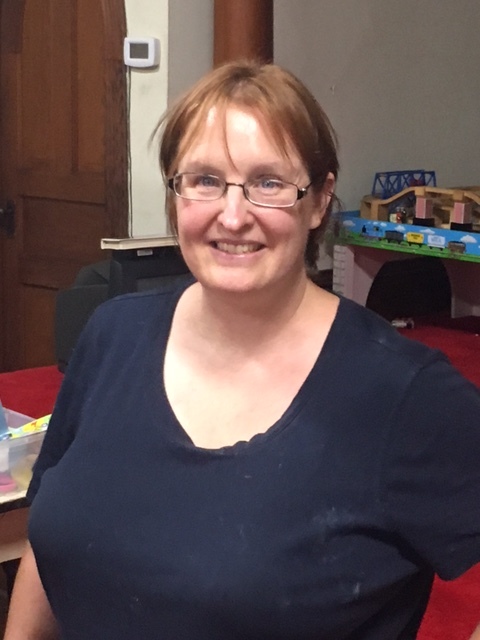 Vanessa owns the Bennington Community Library, a former Episcopal church she bought for one dollar when the sanctuary was deconsecrated and the 104-year-old building faced demolition. 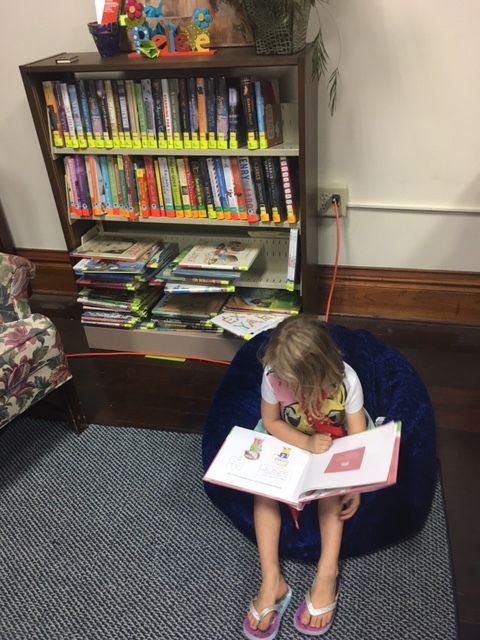 Anyone who wants to borrow books or videos can stop by four afternoons a week when the library is open to the community. Keep what you borrow as long as you like. The library has several thousand volumes, donations from the community and the Salina Public Library. 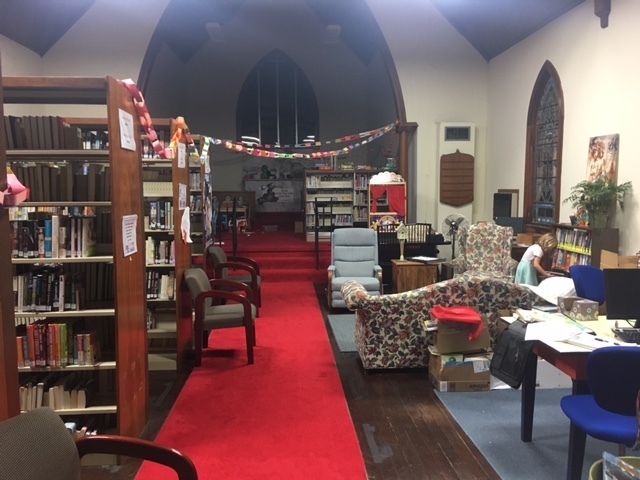 Although the Bennington Community Library has some connections with other libraries, it accepts no public funding. “Once we start taking their money we will have to follow their rules. We’d have to have certain staff, follow certain hours, hold certain programs.” Vanessa is skeptical of formal credentials. Her mother worked in libraries most of her life but never got promoted because she lacked formal education. “I refuse to have a summer reading program. The word ‘reading’ scares kids away. We have summer activities at your library.” Vanessa isn’t concerned whether kids show up to read or not. If they hang around, eventually they will. This summer’s program focused on acts of kindness that link our community. Vanessa invited people from all walks of life among the 650 residents of Bennington to visit the library and meet with children, talk about what they do, how they help others, and how others help them. The children created ‘chains of kindness,’ paper links hung all over the library. Vanessa’s objective is to make two miles of kindness chain; enough to literally circle the town of Bennington. 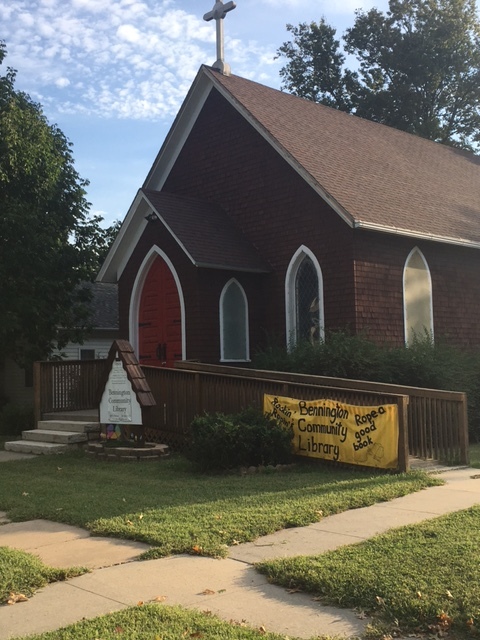 This entry was posted in Responses and tagged Bennington Community Library, Bennington KS, Vanessa Earhart. Bookmark the permalink.